With Mother’s day coming up, it seems a fitting time to pay tribute to the first photographer that had a major influence on me—namely, my mother. As a child, I remember my mother’s camera, a twin lens Argus that took roll film—a snapshot camera with a very crude lens—but I remember the care with which she arranged herself when she took the pictures. Making pictures was a serious enterprise for her. 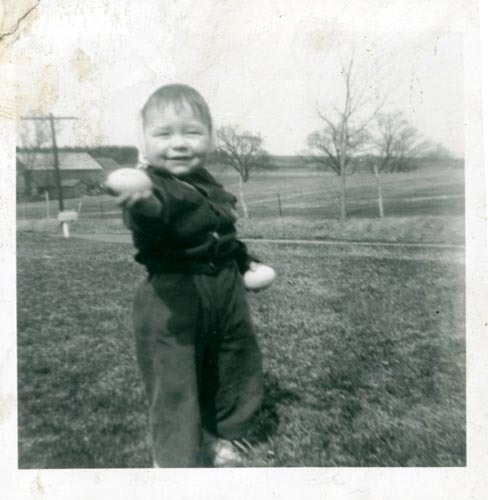 Noami Witmer, "Dennis With Easter Egg, 1959"
In the 1960s, my mother switched from black and white film to color slides—a wonderful medium, but one requiring more care in storage than my mother seemed capable of giving her collection. Many of these slides are now warped, scratched, and dirty—but they are the most direct access to memories that my sisters and I have of our childhood. 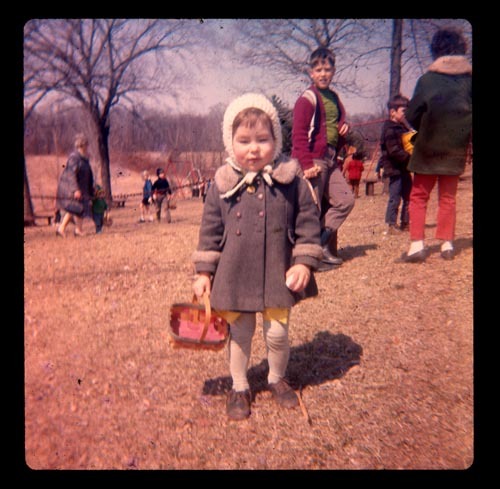 Naomi Witmer, "Sue at Easter Egg Hunt, 1970"
I’ve been thinking a lot about these pictures, as I’ve spent the last two weeks going through my parents house, sorting through the papers and artifacts that seem to accumulate over a lifetime—and mixed in with these papers were photographs. Albums put together 60 years ago have largely fallen apart, and the slide collection was scattered into several locations—pictures I remembered seeing years ago have reappeared, along with many photographs I don’t recall ever seeing before. 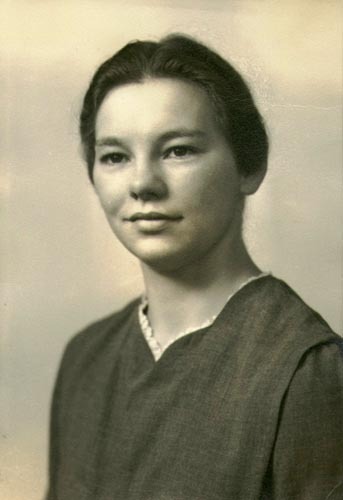 My mother is still living, almost 82, but her memory is mostly gone, ravaged by Alzheimer’s. 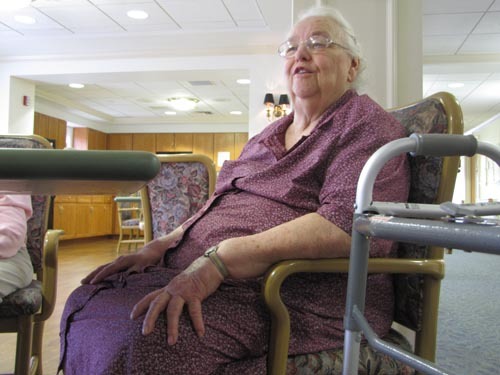 She is now living in an assisted living facility where she can get the care she needs. My father is still alive also, but failing, and the clearing of the house was to facilitate his move into a smaller apartment in an independent living community. I’ve put together a digital picture frame of family photographs for my mother’s room at the home—when I visit, we watch the pictures together. On good days, she names those she can remember—and guesses at others—often there are stories and laughter over the memories. But I wonder sometimes if the pictures help her connect with her past, or make her feel inadequate –knowing that she should know the people in the pictures, but unable to connect the images with names or memories. But I am grateful for the pictures she took of our family, and the memories she left us with.